The Singapore Structural Steel Society was formed with the objectives of constituting an association of engineers, architects, industrialists and others concerned with and interested in the analysis, design, construction, research and other aspects of structural steels. The Society provides a forum for its members, guests and others, for discussion, education, collaboration and other mutually beneficial activities including seminars, invited lectures, short courses, and publications. Since its inception in 1984, the Society has grown rapidly from strength to strength. As a result of the Society's effort, there has been an upsurge of interests in Singapore towards the consideration of structural steel as an alternative material of construction. The Society has been very active in bringing together all those involved in research, teaching, design, fabrication, manufacture and construction of steel structures in this region. This is made possible through the organisation of seminars, evening talks and publications of quarterly newsletters. The Society has also co-sponsored a number of international and regional conferences and has arranged workshops and short courses on various aspects of steel structures. In order to bring closer new research findings and latest developments in steel construction around the world to members of the Society, it is our tradition to invite prominent guest speakers to deliver our annual lectures. The Society logo's consists of a steel I section symbolizing structural steel with the four "S" characters representing the acronym for the Society's name. The Society strives to promote proper use of structural steel under the appropriate circumstances, for the benefit of the community and the region. Attempts are made to develop a resource of the best and latest information on the science, engineering and technology of structural steel. 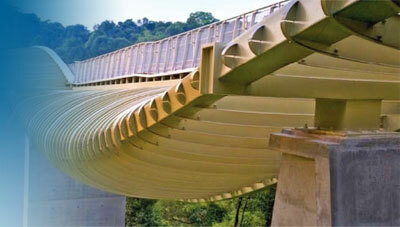 Professional & efficient structural steel sector that can enhance wider use of steel in the built environment. Copyright © 2019 SSSS. All Rights Reserved.